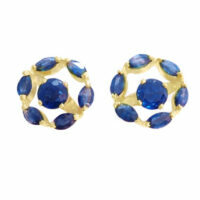 Add a whole new look to any stud earrings with these dazzling earring jackets and sapphire studs. 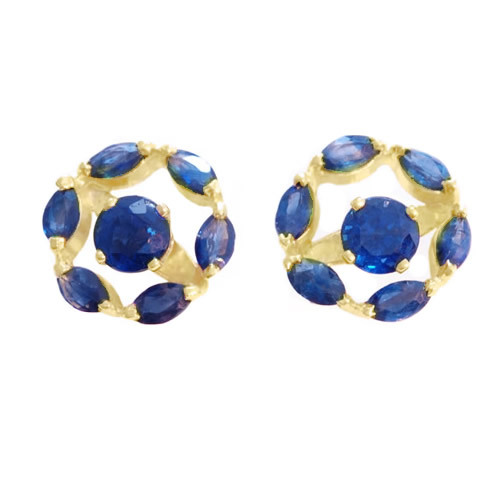 This round stud sapphire earring is instantly haloed by sapphires. Gemstones: 2 round sapphires weighing .68 cts, 12 marquise sapphires in jackets. weighing .60 tw.